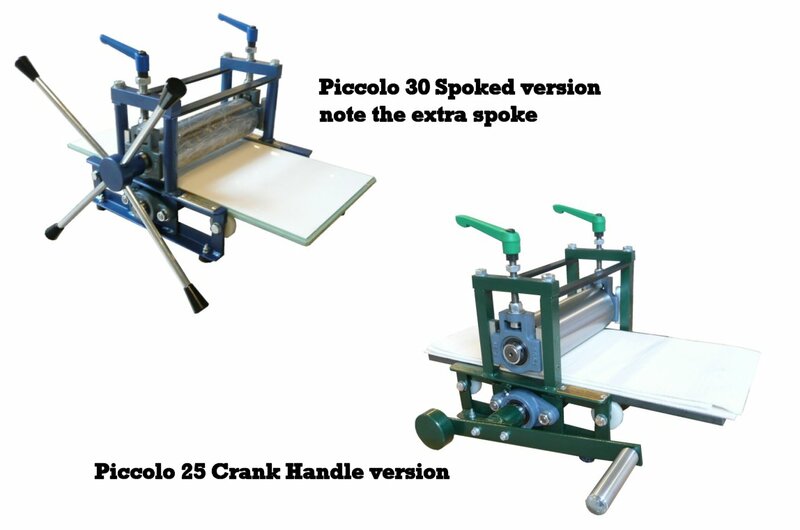 £55 and drives the top roller, the spokes are removable for transportation.Fitted with 'Easi-set' handles for a quick efficient way to set the top roller( 30cm press only ). 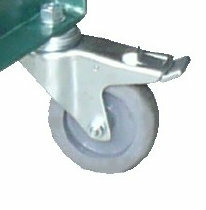 Fitted with rubber feet, giving it a stable base to operate on any ench/worktop. The press of choice for many of the Printworkshops doing Outreach work. Rollaco Raing - 7.5 (see Information Page). Best portable press in the UK.